This is the first of a two-part five-part in-depth look at energy system training as a conceptual model for organizing your workouts to obtain better results in the long-term. 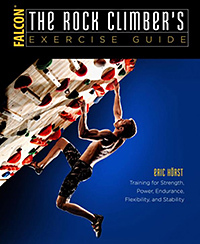 This is a cutting-edge topic with huge potential, especially for intermediate, advanced, and elite/pro climbers, to open up new levels of strength, power, and endurance. 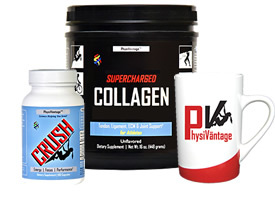 By thoughtfully and accurately applying my energy system training guidelines, you will better target individual energy systems to improve cellular signaling and reduce inferring/conflicting signals that may limit positive adaptations in the muscle cells, extracellular matrix & fascia, nervous system, tendons, and cardiovascular system. It’s a rich topic that will take a several podcasts to unwind and learn to effectively apply to climbing. Let’s get started! 7:40 – Request for you to SHARE this podcast! 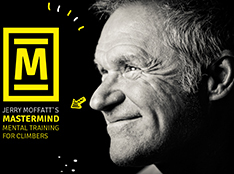 8:20 – Introducing the “Ask Coach Hörst” special edition of the Training For Climbing podcast…coming in April. Submit your question on Twitter @Train4climbing and please include your name, home town, and years climbing. 26:30 – Biochemistry of the ATP-CP system. The Löhmann Reaction. 33:22 – Is consuming supplemental creatine (to load intracellular CP) a good thing for climbers? 45:00 – 1. Neural adaptations – What are they? How do you trigger then with training? 48:20 – 2. Architectural adaptations – What are they? How do you properly train them? 54:25 – 3. Tendon remodeling – What is it…and how it can increase force output and power? 59:15 – Alactic system exercise training protocols. How often should you specifically train this energy system? 1:01:00 – Four climbing-specific exercises that can produce Alactic system-related adaptations and increase muscle efficiency. 1:15:20 – Special Announcement! 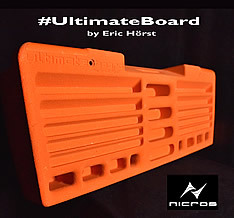 “The Ultimate Hangboard”…coming in early Fall 2018! Please Share the T4C Podcast! Use the download and embed links in this player window to share this podcast on your social media or climbing blog. Thank you! 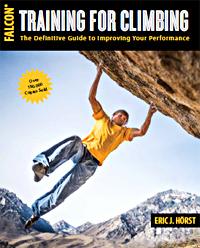 Purchase the latest edition of Training For Climbing–the world’s best-selling book on training for climbers.